Joseph was born in 1811 at Castelnuovo of pious parents. The sanctity and apostolic zeal in which he later excelled manifested themselves in him when he was still a child. The usual games of boyhood held no attraction for him. He preferred to occupy himself with God, counting it as a special pleasure if he could attend the holy sacrifice of the Mass and engage in other pious exercises. 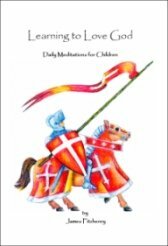 At the age of six he was already called a saint. As a youth in the public schools and later as a student in Cheri seminary, he continued to be an object of respect because of the innocence of his life, his gravity, humility, observance of rules, and his fervor at prayer. He was frequently referred to as another Aloysius Gonzaga. Not long after his ordination to the priesthood, Aloysius Guala, an exemplary priest, established a seminary in connection with the church of St Francis of Assisi at Turin, where young priests were instructed in their sacred calling, and especially fitted to defeat the various errors of Jansenism. Joseph was appointed a teacher at this institution and succeeded the founder after his death. As head of the seminary, Joseph quickly completed the arduous task which Father Guala had begun but had not been able to finish. Saint Joseph Cafasso completely rooted out the pernicious doctrines of Jansenism and those of other reformers, reviving the teachings of St Francis de Sales and of St Alphonse Liguori, which clearly point out the way to Christian perfection. Joseph continued this mission as long as he was a priest with such constancy and fidelity that the task seemed to have been assigned to him by our heavenly Father Himself. In his tireless zeal for the diving glory and the salvation of souls, Joseph combined example with words. He did all he could to promote devotion to our Lord in the Blessed Sacrament, toward whom he manifested great love, and never ceased urging the faithful to approach the great banquet daily. Our Blessed Lady had been the object of his devotion ever since his boyhood days, and he now sought to inspire others to love her with filial devotion. His solicitude extended also to the ministers of the altar, whom he encouraged in zeal and effort to gain souls for Christ. He was a member of the Third Order of St Francis, and used to recommend this institution as the ideal society, especially for priests who are cut off from worldly associations. There was no spiritual or temporal need in which Saint Joseph Cafasso did not interest himself, no kind of calamity for which he did not offer a corresponding means of alleviation, no good work which he did not encourage or support. His heart went out to the orphans, the poor, the sick, and those detained in prison. He shirked no hardship, not even danger to life, in the accomplishment of his undertakings. By his counsel and help he persuaded his dearest pupil, Don Bosco, to found the society of St Francis de Sales, or the Salesians, whose work for Church and souls has been outstanding. But the interest Blessed Joseph manifested in the various problems of suffering humanity was outdone by that which he evinced toward unfortunates who were condemned to death. His sacrifices for them were unlimited. He used every means at his disposal to find an easy approach to their hearts, and the great power of his love overcame their obstinacy. When at last he had restored them to the grace and friendship of God, he accompanied them to their execution, which he regarded not so much as temporal death as the entrance into eternal life. After doing such great things for God and meriting the veneration of all who knew him, Joseph humbly begged God to erase his memory altogether after death. 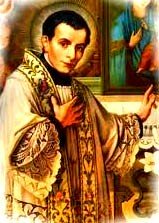 Worn with hardships, but enriched with merits at the early age of only forty-nine years, Saint Joseph Cafasso died the precious death of the just on June 23, 1860, fortified with the sacraments of the Church. Because of his virtue and the miracles performed through his intercession, Pope Pius XI in the Holy Year of 1925, added his name to the list of the blessed, and in 1947 Pope Pius XII declared Saint Joseph Cafasso to be a saint.